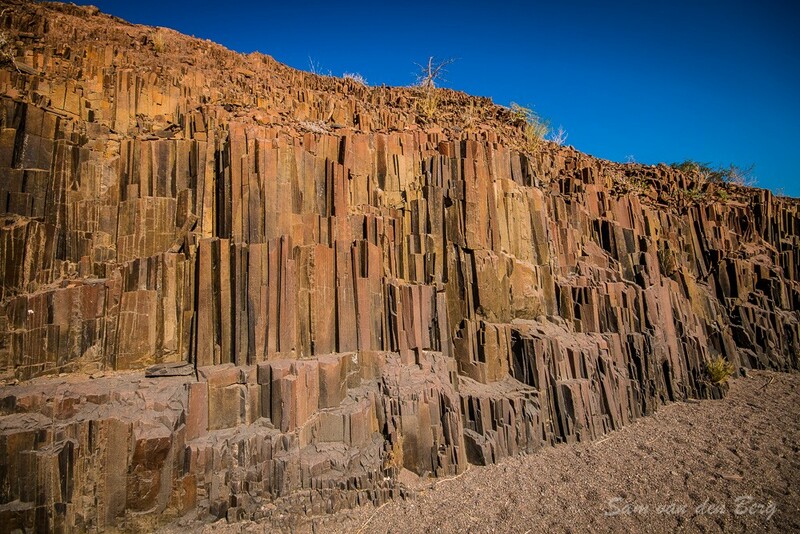 The barren mountain "Verbrandeberg", meaning “Burnt Mountain”, was proclaimed a national monument in 1956. 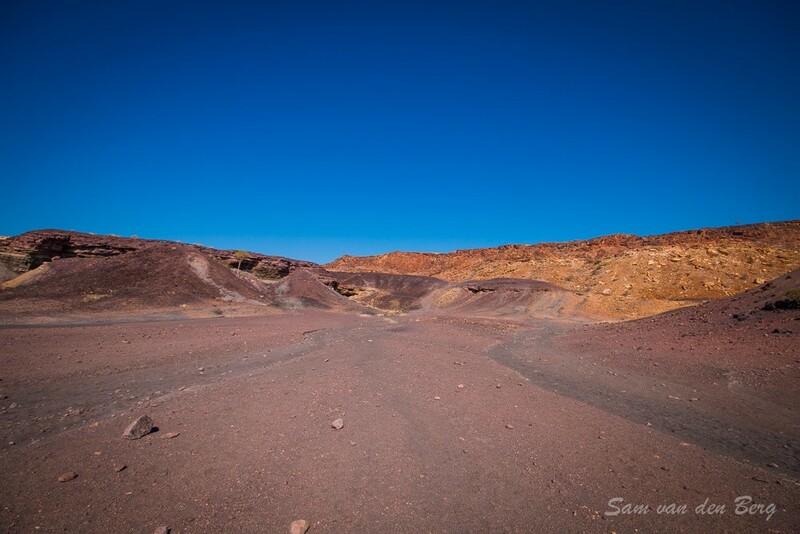 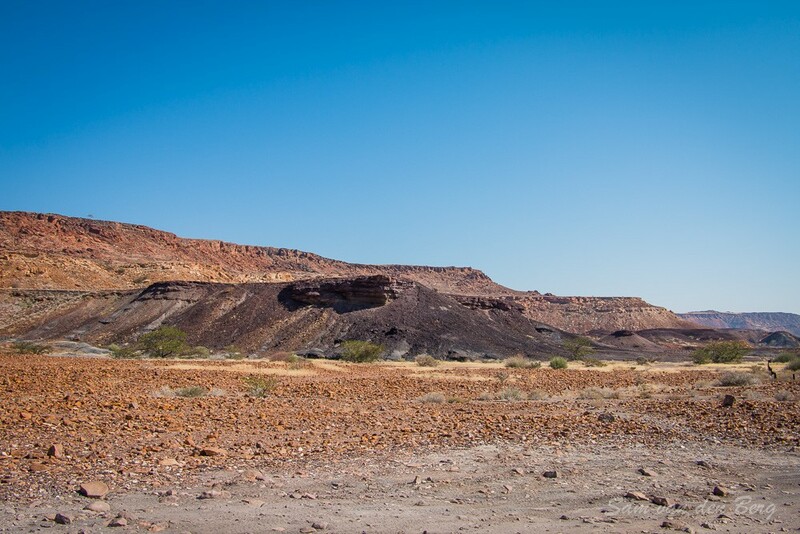 The unique display of colours on its slopes and surfaces during morning and evening hours was a highlight in an otherwise arid landscape around Twyfelfontein. 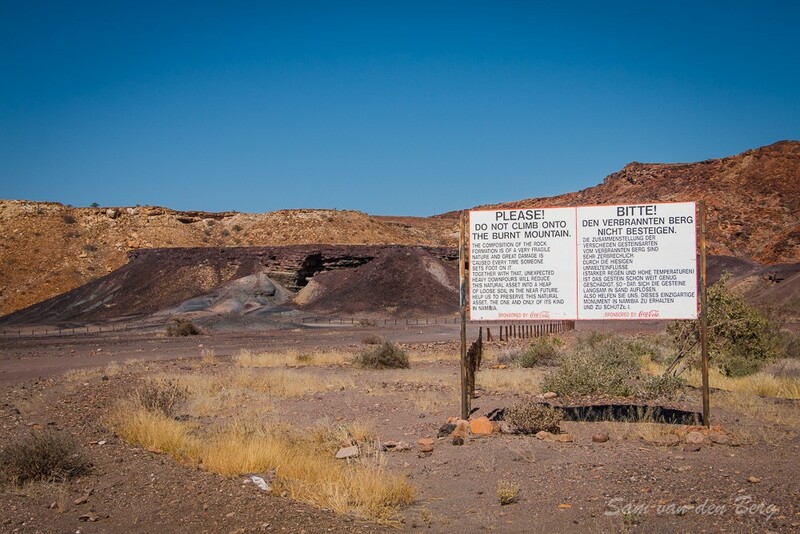 During the contact metamorphism that was caused by the intrusion, volatile organic components were driven off from the shale, leaving a charred black, clinker like burnt mass from which the mountain got its name. 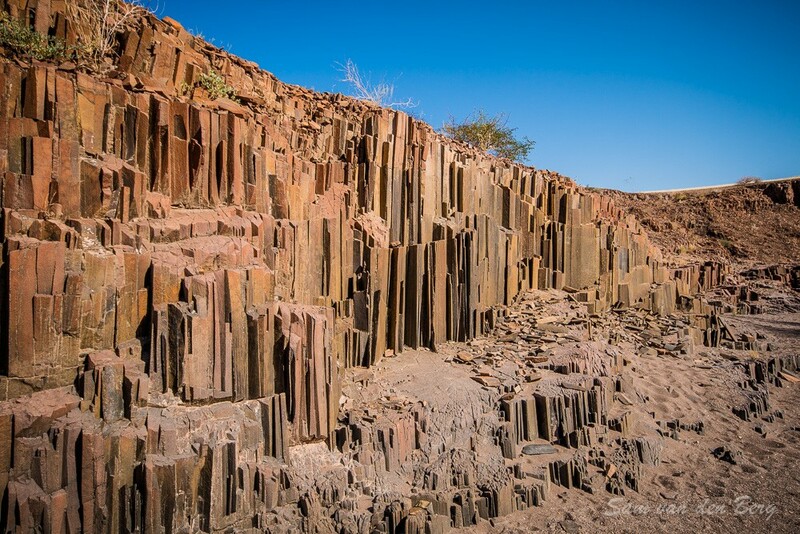 The "Organ Pipes" is a rock formation that comprises a group of columnar basalts resembling organ pipes. 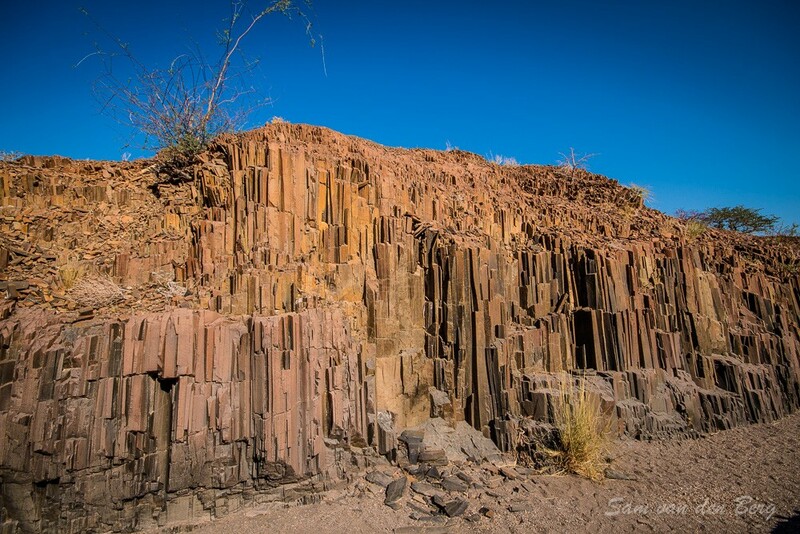 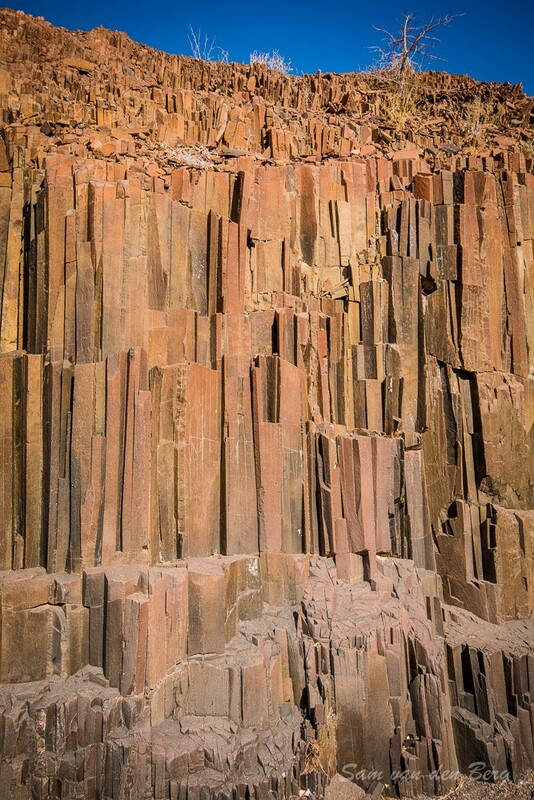 The Organ Pipes were formed about 150 million years ago as the result of the intrusion of liquid lava into a slate rock formation, which was exposed over time by erosion. 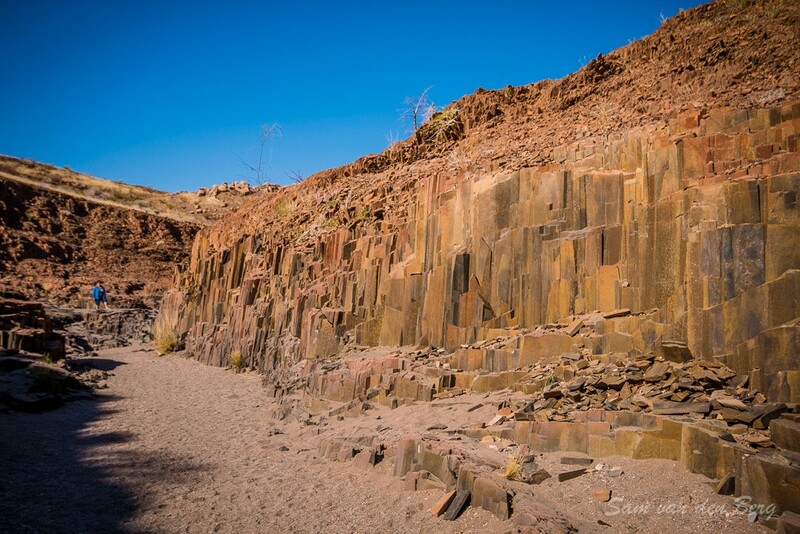 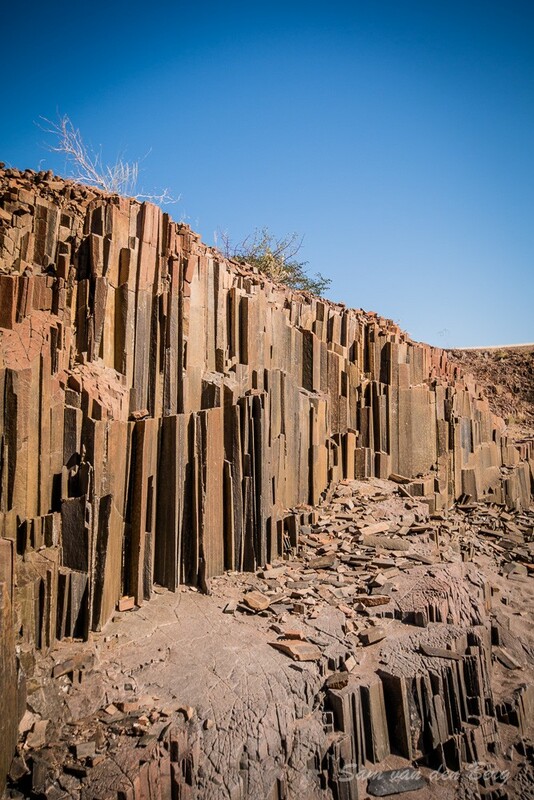 The Verbrandeberg and Organ Pipes are situated 70km to the west of Khorixas near Twyfelfontein.